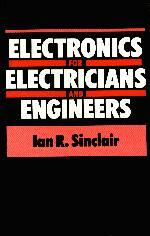 This book is required reading for anyone associated with electronics. It presents technicians with the material they'll need to update their skills and provides engineers with the knowledge to understand the new developments applicable to their specific areas. Emphasizes the principles and practices of electronics. Illustrates how various electronic components are used with numerous circuit diagrams. Covers anodic protection, compound motors, damping resistors, ICs, junctions, meter shunts, Norton's theorem, optoelectronics, peripherals, torque, transformers, RMS, thermal switches, and much more. Fundamentals. Electrostatics. Electric Current. DC Circuits. Electricity and Heat. Magnetism. Current and Motion. Ions. AC Circuits. Electrons in Vacuum. The Semiconductor Diode. Transistors. Linear ICs. Digital Integrated Circuits. Practical Matters. Index.